Cities in Transylvania: Are They A Part of Transylvania? Bear in mind this point, that I am using a very old map to make a point. This map show The Grand Principality of Transylvania in the Kingdom of Hungary pre 1919, and the Paris Peace Talks. It is located in the far right hand corner and it is labeled "Siebenburgen" Note this is also written in German, but the point is that it encompasses some other smaller areas of the land. This would be very close to the new borders of Hungary but this city is in fact a part of the Banat. This city is Timisoara. It has a long and proud history but it is not in Tranyslvania proper. Yet, in many books it is referred as being a part of Transylvania. 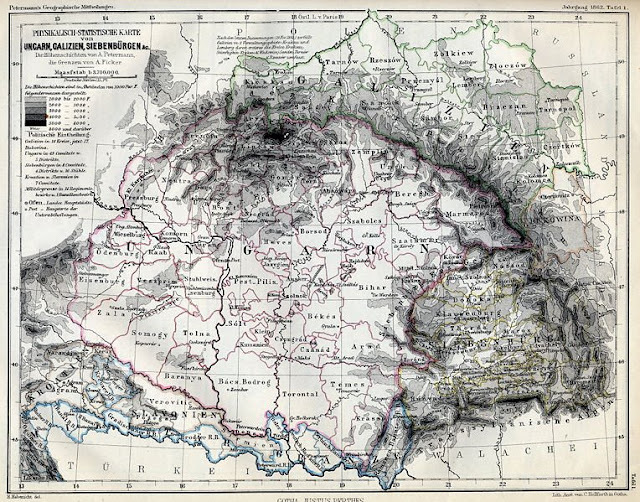 This historically important city is vital, and so is its history but, administratively, it is considered one of country seats within the larger area called "Transylvania"